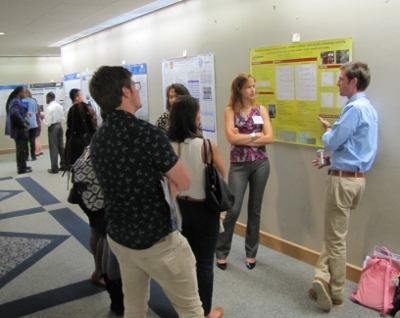 Objectives: The ninth annual undergraduate research conference will provide opportunities for undergraduates to present their research at the interface of biology and mathematics. Student talks and posters are featured as well as a panel discussion on career opportunities, a graduate school showcase, and networking opportunities. Faculty and students are invited to attend, as well as high school teachers. Lodging: A block of rooms was reserved at the Holiday Inn World's Fair Park (865.522.2800 or online; special rate before October 13). Travel funds for this conference are co-funded by the National Science Foundation – Division of Mathematical Sciences (DMS), Division of Biological Infrastructure (DBI), Division of Environmental Biology (DEB), and Division of Undergraduate Education (DUE).